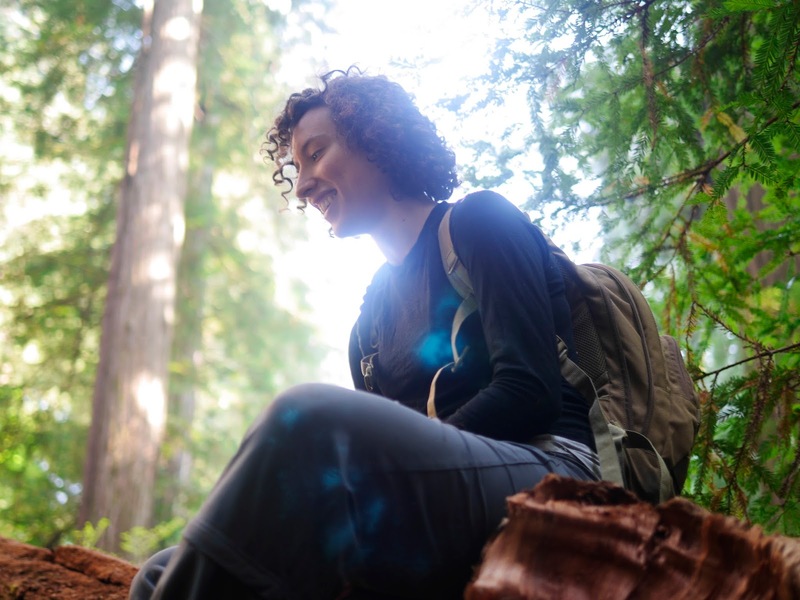 Every chance our employees get, we're off to the ocean or into the woods. Loomstate's Sustainability Director Rhett, along with best friend Hayley and mom, took a week to camp and hike around Jedediah Smith Redwood Forest, on a mission to see some of the largest and oldest trees on the planet in the Grove of the Titans. Rhett tells us how it feels to be at the base of these mega trees, what threatens their existence, and tips for your trip! Where did you venture to? 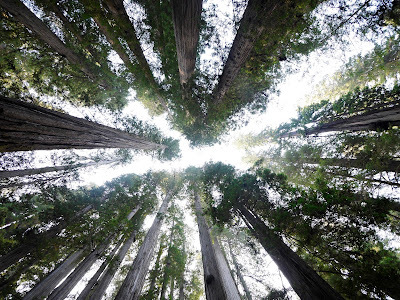 Where in the world do Redwoods grow? Only the Northern California coast. 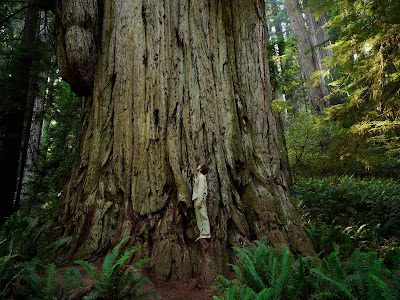 But a mere 50 million years ago they were the dominant tree species in the Northern Hemisphere. 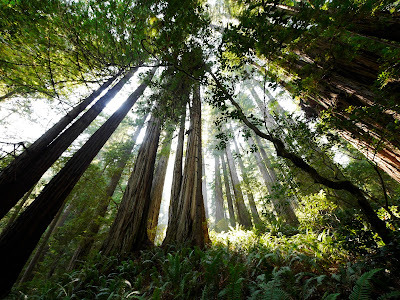 100 years ago there was 2 million acres of old growth Redwood in CA. After a extensive logging less than 40,000 acres remain, about 3-4%. Who are the trees that you wanted to visit most and how old are they? 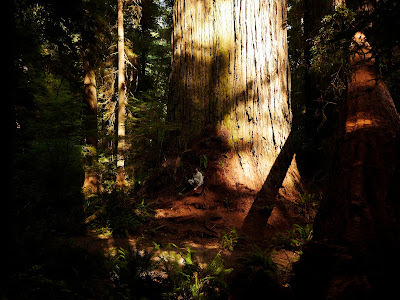 I went to find the famed Grove of the Titans, a small grove containing four of the largest trees in the world. It's hard to age a red wood by size, but given tree rings on felled logs of similar size, the Titans are most likely more than 2,500 years old. 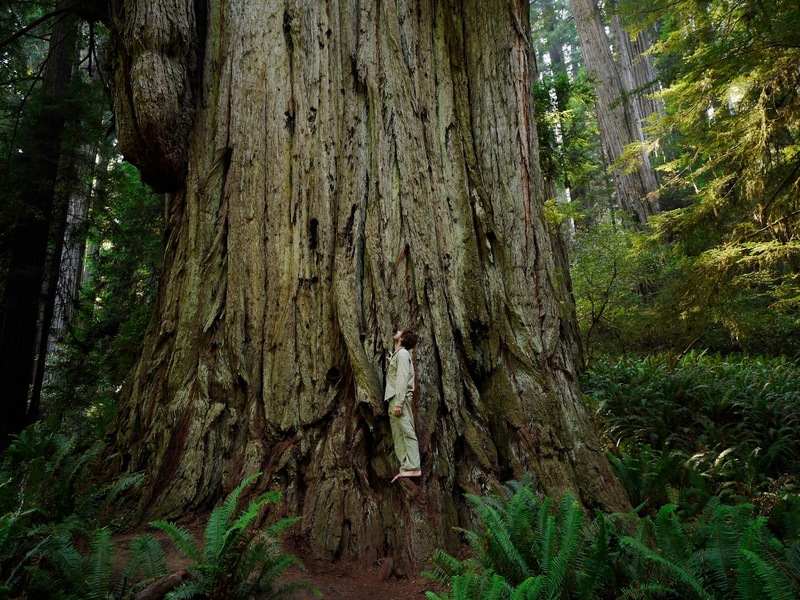 How do you feel under to the world’s largest living things? It's oddly incomprehensible. Despite their massive size, they blend well into the forest as if standing just a short distance. It's only till you see someone right near them that the true scale reveals itself. The the only word I can use to describe the feeling is sublime. Why is the species protected? Despite their hulking appearance Redwoods are very sensitive trees. 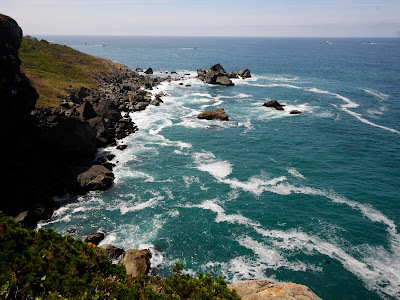 They grow only along the rising slopes of the Western ranges; far enough inland to avoid the salty ocean breeze; close enough the shore to take advantage of condensing freshwater fogs drenching the Northern Pacific rain forests. Global warming is reducing the fog in the southern part of their range, so we will likely lose some groves due to drought. Best way to see the forest? You can fly right in Eureka or take a 7 hour drive from San Fran to get to the Northern Sections. To see these trees in their natural habitat you want to go the Jedediah Smith National Forest. 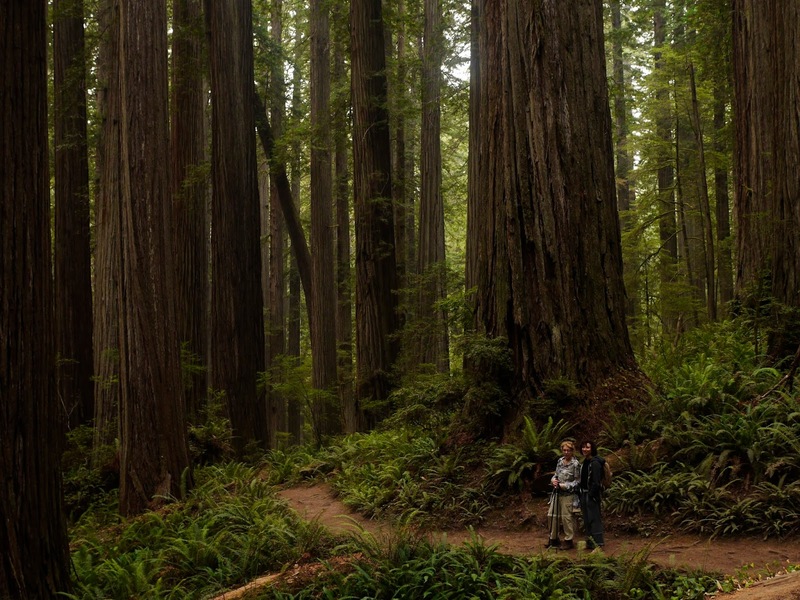 Here you can find the largest Redwoods, the least visited, and most wild sections of the forest. 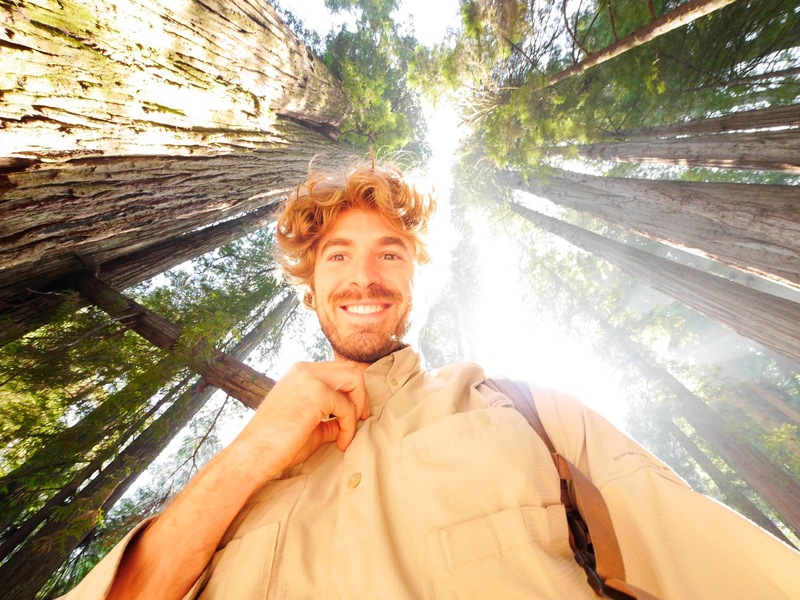 Aside from being the home of the Titans, Jed Smith is also flush with towering ferns and endless streams and more opportunity to experience the cathedral-like splendor of the Redwoods than any other region of the park. 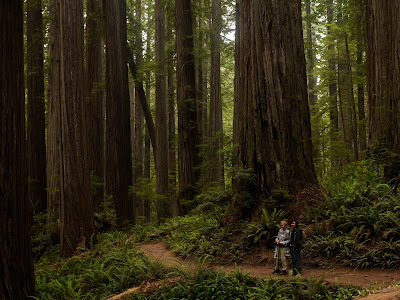 A few days camping trip along the Redwood Creek just south of Jed Smith is also not to be missed. What's coolest about this part of the park, is that you can camp anywhere along the nearly 8 miles of sandy stream bank. Tip: bring a bathing suit as you'll find countless crystal clear swimming holes along your travels. Water shoes are a noted gear addition. Follow the stream to find the most secluded camping sites, often right in the river itself.